Infiniti finished the first half of 2016 with a new sales record. The company sold more than 110,200 vehicles, an increase of 7 percent over the same period last year. 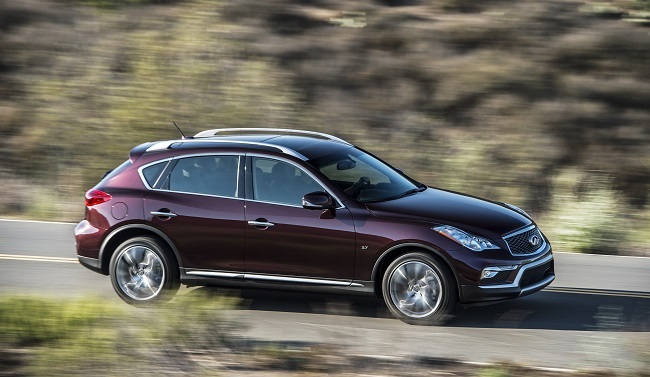 In the month of June, more than 19,300 vehicles were sold, up 15 percent versus June 2015, and in the second quarter of the year (April-June), Infiniti set a new record with almost 53,000 vehicles sold representing an increase of 4 percent. This marks the best ever June for Infiniti sales globally and in several key markets including Canada, Mexico, Latin America, Western Europe, China and Australia. Year to date, Infiniti had record sales for the Americas (U.S., Canada, Mexico, and Latin America) along with Canada and Mexico individually, Western Europe, Middle East, Asia & Oceania (A&O), Korea and Australia. Western Europe sold close to 1,600 vehicles in June, which is an increase of more than 150 percent over June 2015. Year to date, more than 9,500 vehicles were sold, up 177 percent from the same period last year. In the Americas, sold almost 12,300 vehicles in June - 11 percent more than in June 2015. Year to date, approximately 72,100 vehicles were sold, an increase of 2 percent from the same period last year. In Asia and Oceania (Australia, Korea, Taiwan and other markets), Infiniti sold 540 vehicles in June, which is an increase of 14 percent over the same month last year. For the first half of 2016, Infiniti sold almost 3,300 vehicles, which is an increase of 25 percent over the same period the previous year. In June, Infiniti set a new record for China with 3,700 vehicles sold, 12 percent up from June 2015. Year to date, Infiniti sold more than 18,600 vehicles in China, a slight drop of 2 percent from the same period last year due to product availability in April and May.